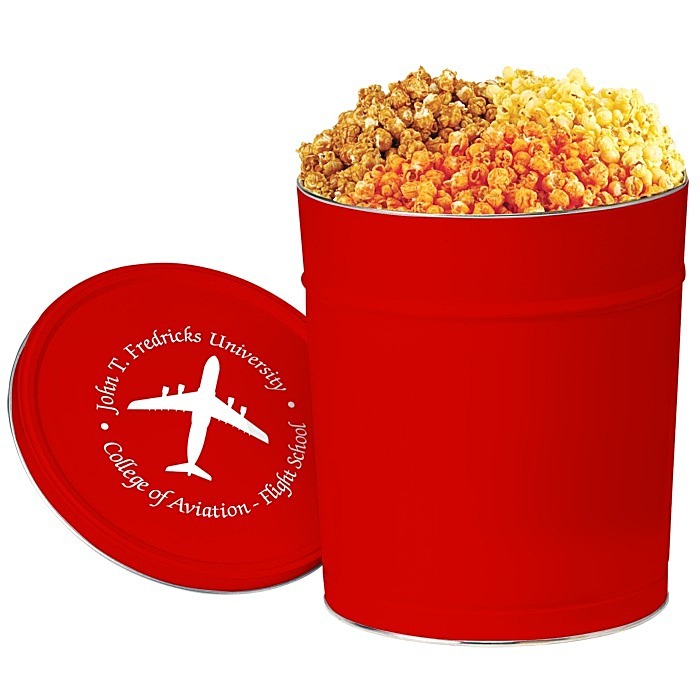 Treat them to a hearty helping of your logo! 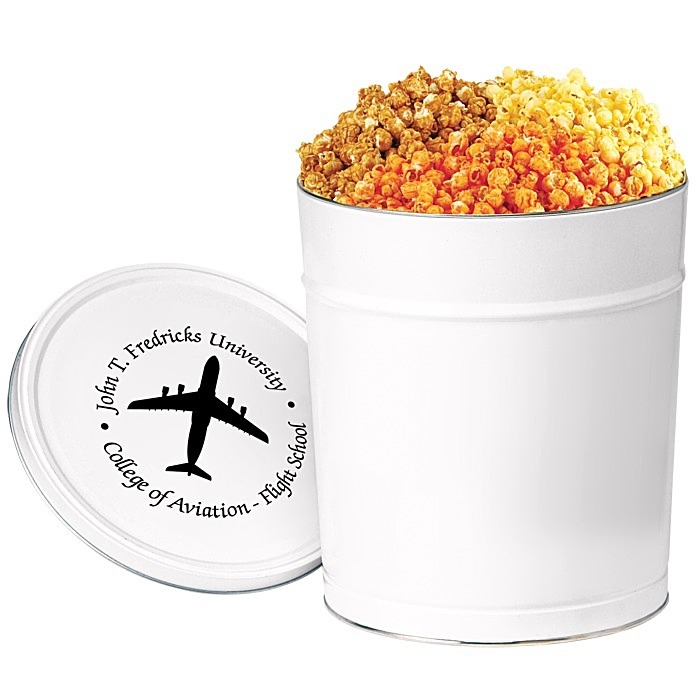 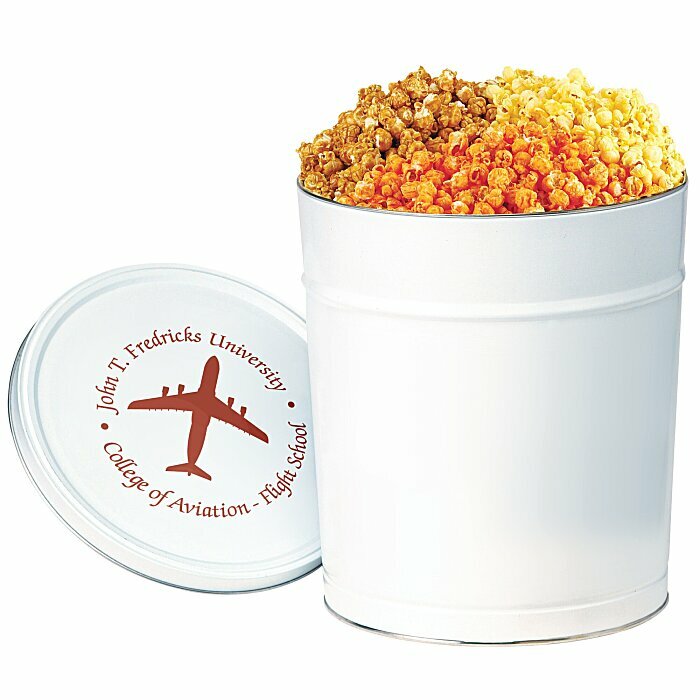 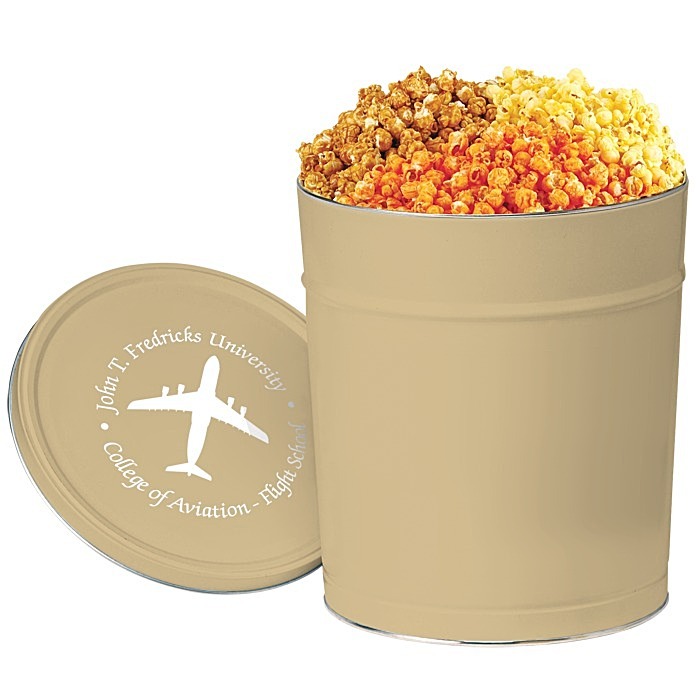 Popped fresh to order, each 3.5-gallon tin offers an assortment of butter, cheddar cheese and caramel popcorn. 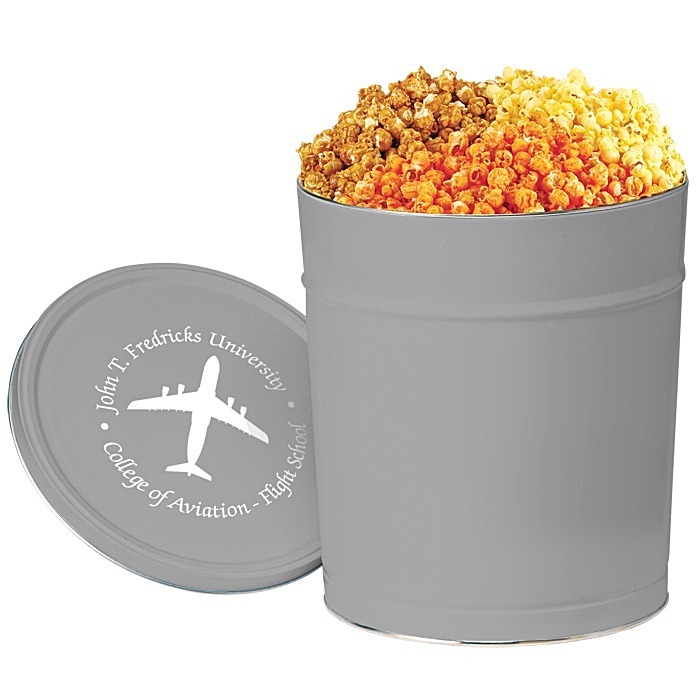 Reuse the festive tin long after the delicious popcorn is gone.